The desires and needs to improve safety and security continue to accelerate. Safety and security projects are easy to justify. The prevention of just one significant injury or death can save over one hundred thousand dollars and even more in morale. The prevention of theft and pilferage of high value items can multiply returns to the bottom line. Rack safety concerns are historically overlooked. 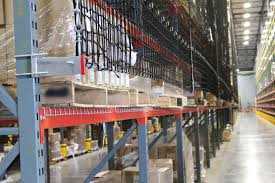 Rack safety can prevent significant injury or death, as well as massive product damage. CSI provides all types of safety and security items and equipment from TA-50 storage lockers to rack safety. If you do not see specifically what you are looking for Contact Us, we are here to assist you. Request a quote and put our professional personnel to work for you.